Automotive industry in China: Consumers’ Preference and Behaviors. The development of the automotive industry in China during those recent years is no longer as booming as it used to be and automakers are struggling with their keeping market shares in China. However, the automotive market still has growth opportunities. Let’s have a look at customers’ perspective to analyze this market. In the past two fast economic growth decades of China, the automotive industry in China always has the highest growth rate all over the world. Ever since 2000, the sale volumes of passenger cars and commercial vehicles have increased 10 times, whose sales volume reached over 20 billion recent years. According to CAAM, the overall automobile sales volume was 24.6 billion and the year-on-year growth was 4.7%. However, the ‘golden period’ of rapid market growth almost comes to the end as the increasing rate of sales slowed down. The possible reasons are that Chinese economy turns tough which reflected on the crash of stock market and the fast-change preferences of consumers. Even if exceptional compound annual growth rate (CAGR) of automobile market of 18.1% is not expected to continue, there is no doubt that China will remain the number one car buying nation in the following years. However, the slowdown of developing speed does not mean a downturn of the automotive industry in China. There is still plenty of time and room for local and foreign auto manufacturers to capture significant market share. In order to win the hearts of consumers, it is important for automakers to understand the market trends, consumers’ preference and behaviors. 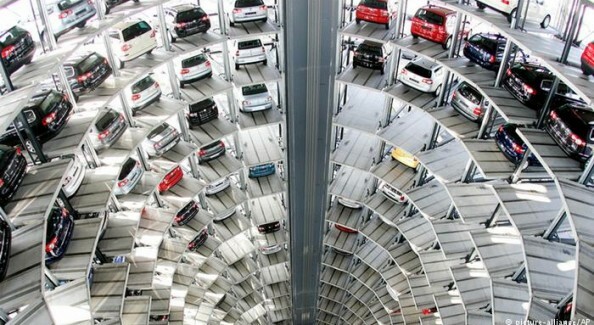 With the rapidly increasing automobiles purchasing, Chinese industry faced a transformation. Among the different types of diesel vehicles, saloon cars are not as popular as before, which indicated the negative increase rate of 5.3% in 2015; while SUV (Sports Utility Vehicle) and MPV (Multi-Purpose Vehicle) keep the high growth rate of 52% and 10% respectively due to the modern design. Though traditional diesel automobiles encountered a step-down situation, new energy automobiles are becoming popular in the market. In 2015, the sales volume of new energy vehicles was 0.33 billion, including 0.24 billion electric automobiles and 0.09 billion hybrid cars whose year-on-year growth rate were 450% and 180%. Furthermore, not only Chinese automakers have devoted to the research of intelligence cars, but also some internet giant joined the team of intelligent cars development. It is predicted that intelligent cars, defined as an integration of environmental perception, programmed decision-making and auxiliary driving functions via a modern sensor, remote control, and artificial intelligence system, will realize the connection of automotive and intelligent mobile phones in 2017. However, the cyber security main be the biggest problem for restricting the development of intelligent cars. Before automakers sell new advanced cars to meet customers’ needs, studying consumers’ preference is essential in winning the hearts of consumers. The current majority car consumers are young people who are younger than 35 years old, which take up 57% of the overall consumers. In terms of their consumption characteristics, firstly, this group of people pays more attention to the brand’s prestige. They are attracted by intangible features, such as appearance and performance because these features can increase their economic and status perception. Thus, the middle and high-grade vehicles’ consumption, which ranges from 250,000 to 400,000 RMB, increased 6% in 2015 compared to 2014. Meanwhile, Telematic services play an increasingly important role in Chinese consumers’ vehicle purchasing decisions. This group of consumers has more knowledge about vehicles. 85 percent of consumers look for in-vehicle technologies and 75 percent would spend more for a vehicle with the right telematic services. Another characteristic of mainstream automotive consumers is that they changed their cars more regular due to the new consumption attitude of experiencing the latest type of cars. It brings automakers a new business opportunity. According to Accurate, about 55% people plan to change their cars in the future one year. It also stimulates the development of second-hand car market, as the transaction volume increased 16.3% in 2015 compared to 2014. Since digital technology has penetrated traditional manufacture industries, many industries, including the automotive industry, are forced to combine digital theory in both products and marketing strategy. 98% Chinese consumers will first know some information of cars’ functions and configurations from different channels in order to make their decisions: 9 percent look to recommendations from friends and colleagues; 64 percent seek advice from family members; 53 percent look at manufacturer websites; and 64 percent are influenced by opinions shared via social media. Apart from making decisions through digital channels, the whole purchasing process is transforming from offline into online. 83% consumers prefer digital channels since it saved the time of buying a car. However, about 80% people claim that interactive digital marketing development is essential. Since the recent theory believe that digital marketing should not limit in marketing the brand or products but extend a series of online transformation will be a new trend which is conducive to the digital marketing. An Accenture study revealed that 78% and 67% people are willing to buy a car and pay via mortgage online. Although some steps of the overall purchasing process, such as test driving and detail expression, cannot be placed in the digital channel, the combination of online and offline marketing is the future trend. To conclude, Chinese automotive market is in the stage of transformation and exploitation. It is believed that studying the market and understanding the preference of market is important for automakers to win customers’ hearts. Meanwhile, digital marketing in selling is the future trend that requires companies to develop. Daxue Consulting is a China-based consulting boutique gathering various practices: Market research with Daxuemetry, Strategic consulting with DX&DX, Marketing operation with Daxlr are the major pillar of Daxue Consulting's service offer in China. Contact our senior consultants to better understand how Daxue Consulting can assist you for your development in Asia. Our newsletter provide you and your team with weekly information about the Chinese market and the major opportunities. Subscribe to get our free content and better understand how Daxue Consulting can further assist you with our methologies and data-driven recommendations.